When my mom, who is Japanese, went to a Japanese restaurant abroad for the first time, almost 30 years ago, she was not able to enjoy the sushi served there. It was because the sushi looked totally different from the sushi in Japanese. 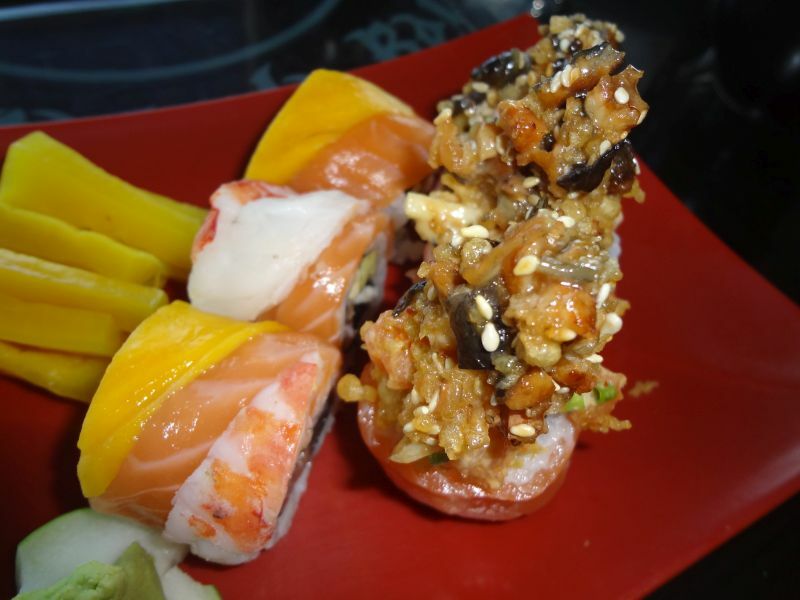 The ingredients, which were not used in Japanese sushi, were included in the foreign sushi. Thirty years have since passed. My mom has worked in about 30 countries. When she is “beary” tired abroad, she sometimes goes to a Japanese restaurant and often orders sushi. She knows that the sushi served there is different from the one in Japan. 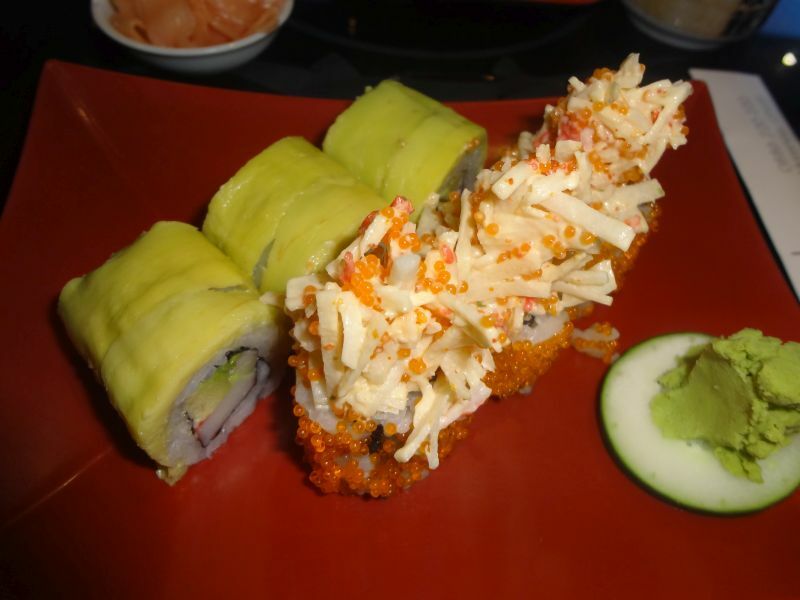 However, now, she can enjoy the “globalized” sushi as she regards it as another cuisine. 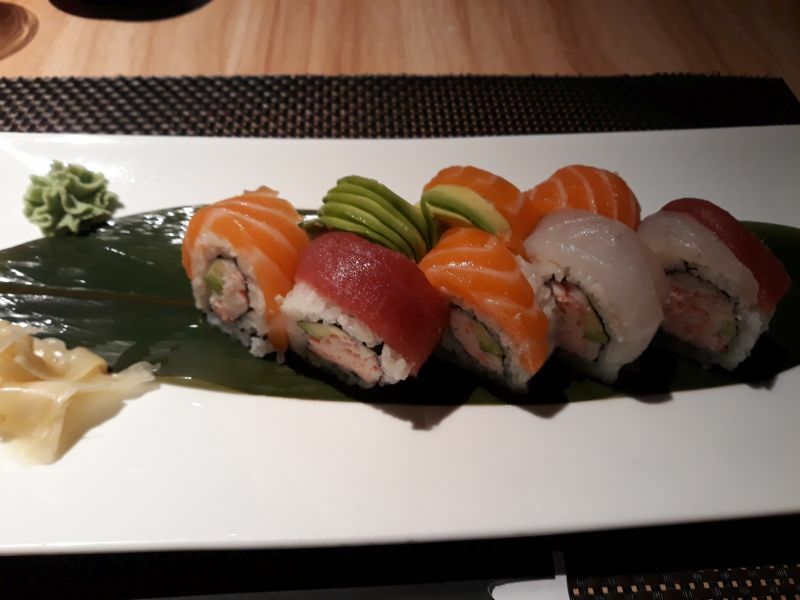 On the left is Rainbow Maki, which means “wrapped in a rainbow.” The rainbow is made of mango, salmon, and prawn. The right one is named Volcano Delight. It looks like an active volcano! One day in a Japanese restaurant in Rome, my mom ordered California Dream from the menu. Then, this plate came. She was “beary” impressed with this because it was a “beary” nice combination between nigiri-zushi (= rice with a slice of raw fish on top) and makizushi (= sushi roll wrapped in seaweed). This is “beary” simple. 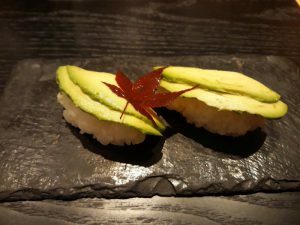 When she ordered, “Avocado,” from the menu, this simple green nigiri-zushi came. Avocado is not used for traditional Japanese sushi. However, since California rolls came to Japan, it seems that avocado has been accepted in Japan as a sushi ingredient. Whenever my mom eats sushi in a Japanese restaurant abroad, she feels that Japanese people also need to change as sushi did. To be accepted by people from different cultural backgrounds, we have to be flexible enough to accept differences. Please don’t get me wrong. My mom is not saying that the Japanese should be westernized. She means that she is always exploring or struggling with how to make two identities compatible, as a global citizen and a Japanese. It appears that sushi has given her some hints.